Established in 1819, ESCP Europe is the world’s first business school. With its five urban campuses in Paris, London, Berlin, Madrid, and Torino, ESCP Europe has a true European identity which enables the provision of a unique style of business education and a global perspective on management issues. Triple-crown accredited (AACSB, EQUIS, AMBA), ESCP Europe welcomes 4.000 students from 90 different nations every year plus 5.000 in Executive Education programmes. The School’s alumni network counts 49,000 members in 150 countries and from 200 nationalities. Through its cross-campus programmes with integrated curricula, and a research-active faculty, ESCP Europe is an essential contributor to the development of a European, cross-national management culture. ESCP Europe Berlin is officially recognized as academic-scientific school (“staatlich anerkannte wissenschaftliche Hochschule”) in Germany. In 2016 it was ranked as “Best Business School in Germany” (FT-European Business School Ranking 2016). 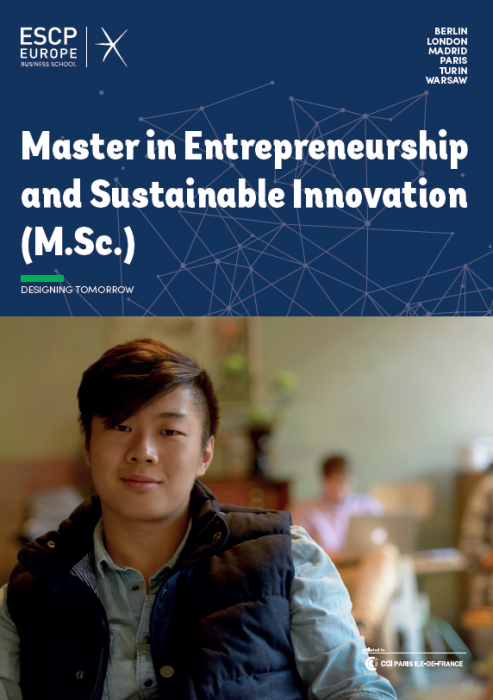 ESCP Europe offers a variety of sustainability related courses and specializations along its campuses. 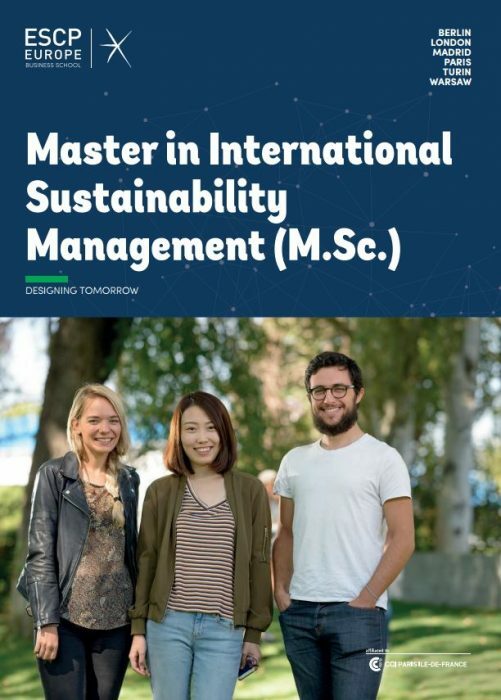 Besides lectures in Environmental Management, energy related economics, Corporate Social Responsibility, Environmental Law and Business Ethics, there is a common interest to increase the integration of related issues integrated into several courses. Please note that the list subject to change. Please contact the office to find out about more detailed schedules and the course-cycles. Marketing and Sustainability: Sustainable marketing and sustainable business behaviour, (1) apply marketing to make today’s marketing practices more environmentally sustainable, (2) target and segment green consumers, (3) advertise and communicate with an environmentally concerned audience.